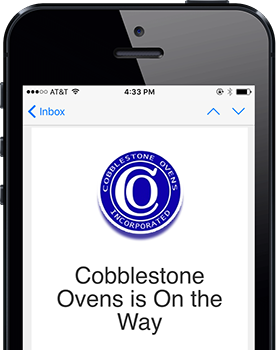 Revent Proofers Installation, Maintenance & Repair - Cobblestone Ovens Inc. The Revent PRF8200 proofer will help your bread rise to the top (sorry, we couldn’t help ourselves; we love a good bun. Pun). The stainless steel construction, electromagnetic steam system, 200-step air speed regulation, and easy-to-use touch screen controls offer high quality and meticulous control, giving you warm, delicious results every time. Check out this model’s PDF brochure for more details, and then call us to see how we can get you proofing with a Revent.